New York City’s housing department will record mold growth as “C” class hazardous violation. According to the NYC Department of Health, small amounts of mold should be cleaned up with a mild bleach and water solution. Infants and children, the elderly, pregnant women and anyone with asthma or other lung condition should not involve themselves or be near a cleanup. 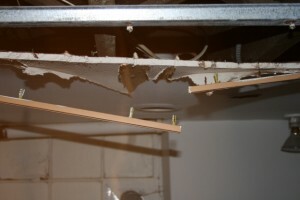 If there is a serious mold problem, tenants sometimes find the enforcement of laws by the city’s health and housing departments to be insufficient, especially when a landlord is resistant to spending the money to fix the problem. If a landlord is not responsive, tenants may need to take further action – such as taking the landlord to court. 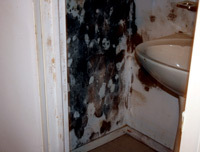 A large amount of mold infestation should be handled by a trained contractor hired by the landlord. The general rule of thumb is if the mold area is over three square feet, a professional should clean it up. Other solutions to air quality problems in apartments and buildings include eliminating or mitigating the sources of pollution, increasing unit or building ventilation, and installing air cleaning devices. If you suspect that your building has a mold building violation, get it tested in order to determine the severity of the problem and your options for remediation. If you are a building owner or landlord in Manhattan, Queens or the Bronx and have received violation notices for mold, we can perform a free visual inspection and provide an estimate for you. 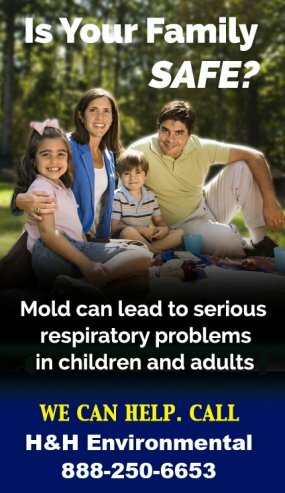 What Is Your Mold Issue? What is 4 plus 3?